The coolest phone accessory has hit the market folks, and I'm here to tell you all about this thing. 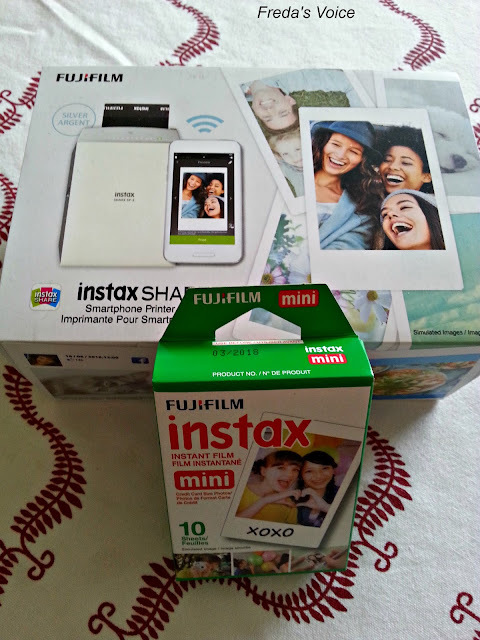 Introducing the Fuji Film Instax Share Smartphone Printer! The Instax Share Smartphone Printer SP-2 is a fun, compact, wireless printer that lets you print photos instantly on Instax mini film, from any smartphone, tablet or FUJIFILM X-Series digital camera. 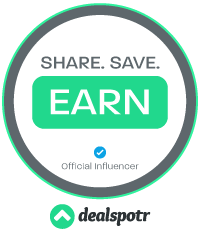 Share them anywhere, any time. The Instax SHARE Smartphone Printer SP-2 has many improved features vs the SP-1 including: improved image quality; faster printing speed; rechargeable battery with micro USB charger; additional filters for the SHARE App; stylish angular shape; and, improved LED indicator. The SP-2 is available in 2 colors: Gold and Silver. A variety of customizable templates and filters have been added to the SHARE App including photo Collage and Split that creates an image as two prints. The Instax SHARE Printer also uses a wireless LAN that allows up to 8 users to connect at once making it great for parties. It was easy to unpack and load the film. Next was to charge the printer, so I could try it out. Adding the app is free. You then follow the easy instructions to start printing but you must have a wifi connection. You literally hit print with one button and boom! Within one minute this is what I had in my hand. It was still processing, but it was fast and also quiet when printing, which I loved! This smartphone accessory is definitely my favorite. You do have to buy the film, they do not come with the printer. At the price, you get a great deal for what you're getting. Check out the Fuji Film Instax Share Smartphone Printer SP2 on Amazon and grab a single pack of film too. **No compensation was received for posting. Product was received to facilitate a review through Amazon Vine. Oh my gosh, how fun! We got my daughter a little camera instax for Christmas last year, and she has had a lot of fun with it. The film is just expensive enough that she really chooses carefully what to take, I bet that would be similar with the phone printer! I love these gadgets, I would totally want to get one for myself!